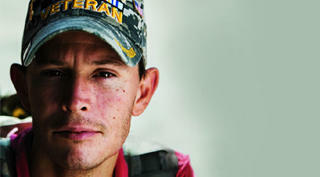 Providing Veterans Services in Kentucky, Tennessee, West Virginia, and Clark and Floyd counties in Indiana. Volunteers of America's SSVF programs, funded by the U.S. Department of Veterans Affairs, provide supportive services to very low-income veteran families living in or transitioning to permanent housing. These programs provide eligible veteran families with outreach, case management, and assistance in obtaining VA and other benefits, which may include: health care services, daily living services, personal financial planning services, transportation services, fiduciary and payee services, legal services, child care services, and housing counseling services. In addition, programs may also provide time-limited payments to third parties (e.g., landlords, utility companies, moving companies, and licensed child care providers) if these payments help veteran families stay in or acquire permanent housing on a sustainable basis. Recognizing the need to reach out to homeless veterans in their everyday world, our Homeless Veterans Reintegration Program helps veterans find secure employment and stable, affordable housing. Outreach workers can arrange home visits with veterans in outlying areas who are unable to travel to the program office. Through partnerships with state, federal, and local community agencies, this innovative program provides access to career counseling, job training, case management, support groups, and follow-up services. Volunteers of America has a long history of working with individuals and families facing substance abuse problems. We offer a complete system of care ranging from community outreach, prevention, assessment, outpatient treatment, long-term residential treatment and aftercare services. Our programs are designed to provide clinical services by licensed and trained addiction treatment professionals with a focus on recovery.